Earlier this month, I attended the graduation of my niece from California Lutheran University. Since I was in the area for a few days and there was a lot of down time between events I wandered around the neighborhood with my camera as I am want to do. My niece rents a room in a single family home in the area. It’s a large comfortable house with all the Southern California accouterments including a curvilinear swimming pool in the back yard. As it happens, the family with two teenaged kids that she rents from are themselves renters. Homes in the area sell for between $700K and $2M so coming up with the $3,000 rent each month (with the help of a student lodger) is manageable at a “lower end” property like this one, but finding a 20% down payment for a mortgage isn’t. 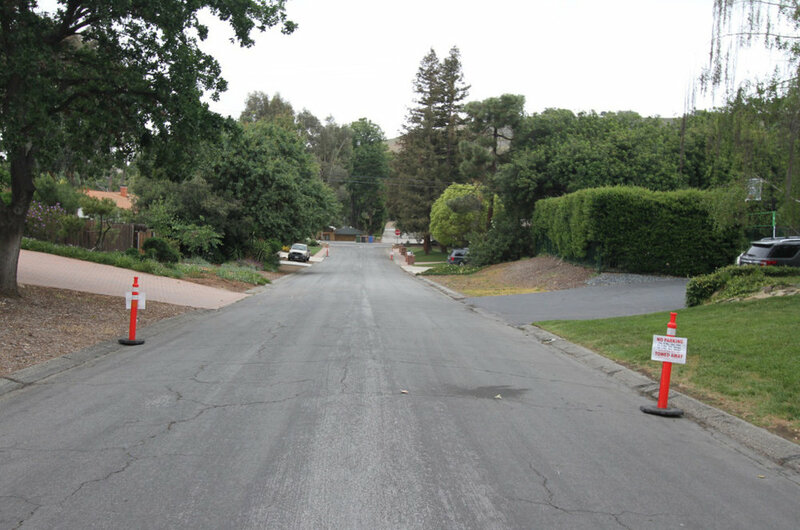 As I explored this 1960s subdivision I saw a relentless desire to control who was allowed to park on the street. No one. Signs describing prohibitions continued on each street in every direction. The university was a few miles away so no one attending the graduation ceremonies would be likely to park in this particular area. 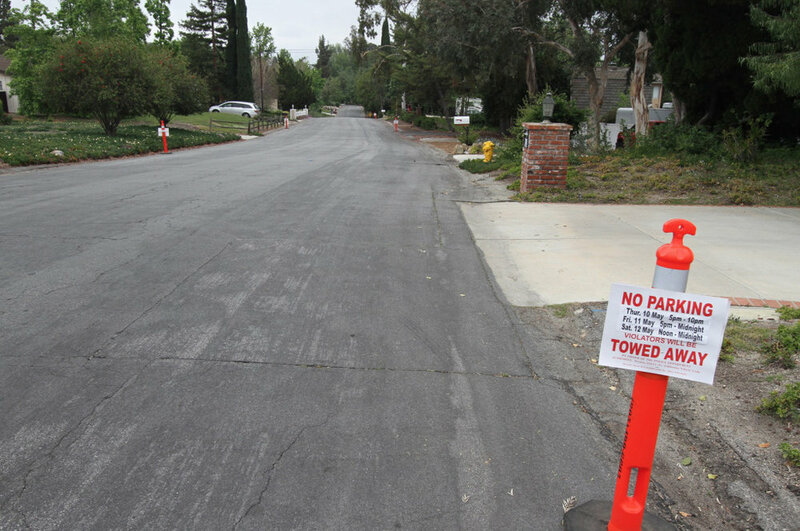 Turns out these no parking signs were in response to an adjacent fifty five acre public park that attracted members of the public who could only reach the area by car. If this subdivision were built new today it would be gated as many surrounding developments are. The municipal parking regulations were a kind of de facto gate to control the riffraff. As I was walking a resident came out to greet me, not entirely pleased with my activities. This is my favorite part of my adventures since I get to talk to people about how they feel about the place they live. But first we had to get past the unpleasantness. Am I a thief casing properties for future robberies? Am I a stalker or predator of some kind? Am I from the government? Am I a real estate agent or developer? Or perhaps a journalist with an ax to grind? I honestly don’t know how to describe myself. Mostly I’m just a geek who likes seeing how people occupy the landscape. Perhaps I could compare myself to a bird watcher or stamp collector, but with strip malls and cul-de-sacs. But that response is never satisfying to those who enquire. I handed him my drivers license so he at least knew for certain my name and where I came from. The most accurate answer is that I believe our institutions and society are all in a lot of trouble and I’m trying to figure out how to ride out a difficult set of challenges in the not-too-distant future. What I was actually thinking at the moment this particular guy came marching across his front lawn toward me full of righteous indignation was: these places would make pretty good homestead properties. So much land for fruit trees and veggie beds. Great solar exposure. Gently sloped lots for gravity fed irrigation from rainwater catchment tanks. Large enough homes for extended family and friends to pool resources. No restrictive home owners association. More than a few families keep horses and other livestock so a few chickens and dairy goats were a genuine option. The homes were large enough to accommodate all sorts of productive activities like workshops in the huge garages. And with so many wealthy white folks around, these places will always be first at the trough and last to experience cut backs in the municipal budget. I was fascinated by how many elaborate forms of off-street parking most of these homes had. 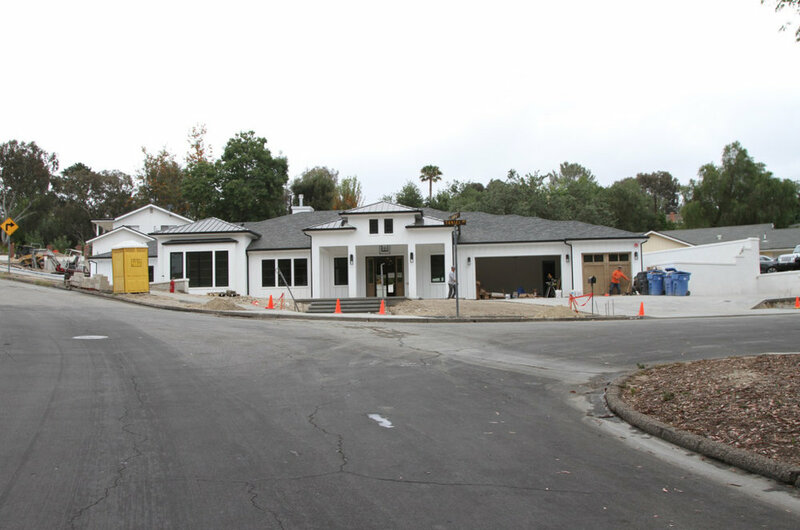 The crescent shaped front driveway paired with a two or three car garage plus a side driveway to another two or three car garage in the back was pretty common. At most homes — including the guy's who was irritated at my presence — a dozen or more cars could have been easily accommodated. At his request, I deleted the photos of his property and vehicles which were no different from Google’s street view, except I can’t see into his back garden and Google can. This house is currently for sale. It’s advertised as having, “a large detached casita with a living area, bedroom, bathroom and separate wet steam room!” The photos show the interior of the casita with a sink, tiled kitchen counters, cabinets, and a standard size refrigerator, but no stove. A stove would make this an illegal and culturally repugnant accessory dwelling unit. But a casita? That’s a luxury guest suite for treasured family and friends. 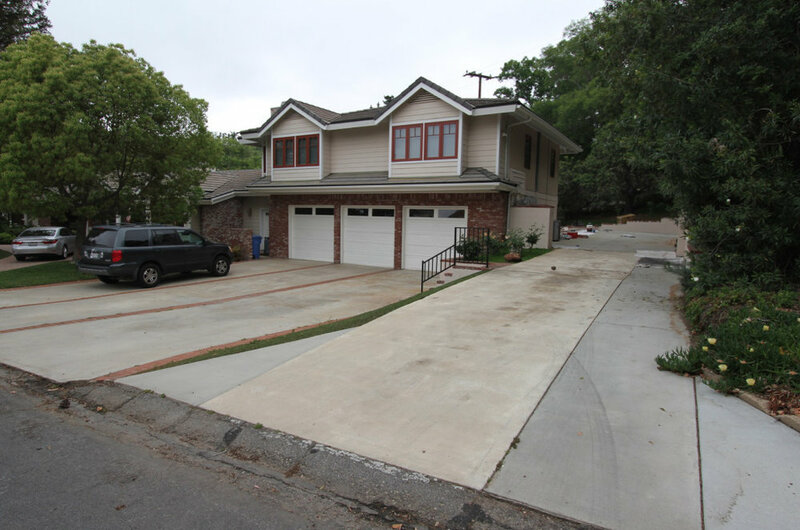 The attached two car garage is supplemented by a detached four car garage and enough driveway space for who knows how many more vehicles. The Google aerial view shows two full size recreational vehicles parked along the side driveway. This “single family home” is actually a small apartment complex in most regards. But as long as only one prosperous family inhabits it… no problem. The guy was fairly patient with me and we talked for longer than he probably wanted to. Maybe he was just trying to get a read on me and my potentially covert activities. But he was reasonable and I didn’t necessarily disagree with anything he said. I could sell my one bedroom apartment in San Francisco and pay cash for one of the less extravagant homes in Thousand Oaks, although I don’t actually want to.